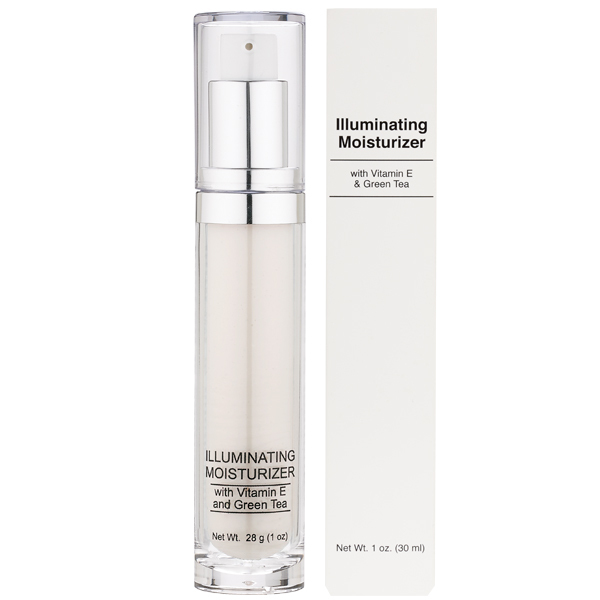 This hydrating lotion gently illuminates while protecting the skin from free radicals and combating premature signs of aging. Vitamin E and Green Tea are antioxidants that help prevent against free radical damage. Water (Aqua), Glycerin, Glyceryl Stearate, Caprylic/Capric Triglyceride, Propylene Glycol Dipelargonate, Squalane, Stearic Acid, Cetyl Alcohol, Triethanolamine, Hyaluronic Acid, Butylene Glycol, Sodium PCA, Camellia Sinensis Leaf Extract, Dimethicone, Phenoxyethanol, Methylparaben, Propylparaben, Propylene Glycol, Diazolidinyl Urea, Padina Pavonica Thallus Extract, Vitis Vinifera (Grape) Leaf Extract, Tocopheryl Acetate, Ethylparaben, Butylparaben, Isobutylparaben, Ethylhexylglycerin, Silica, Mica (CI 77019), Titanium Dioxide (CI 77891) Carmine (CI 75470).